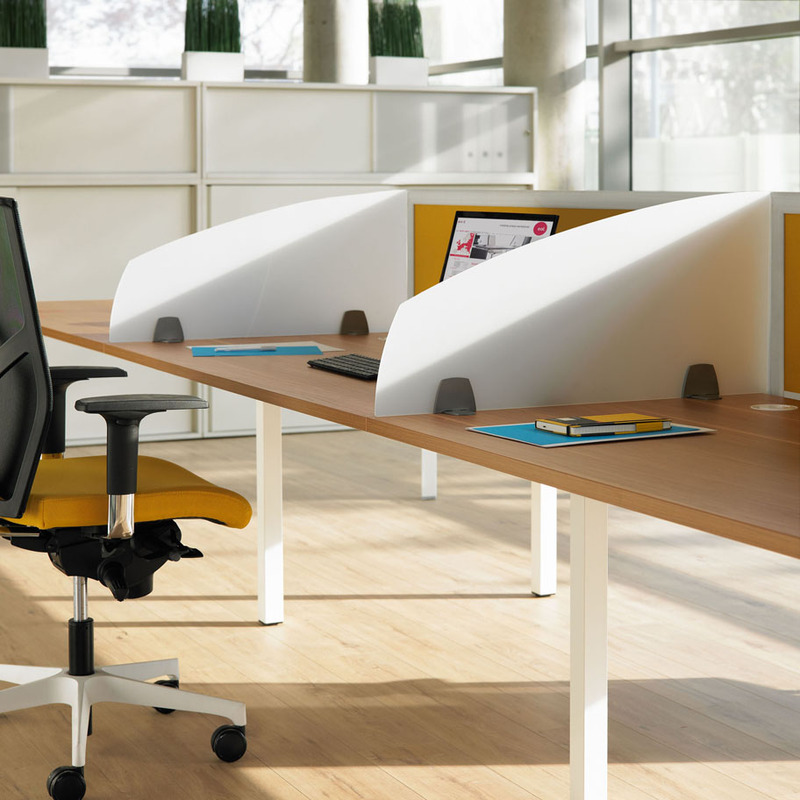 4 MOST is a dynamic range, an example of optimisation for all types of workspaces. 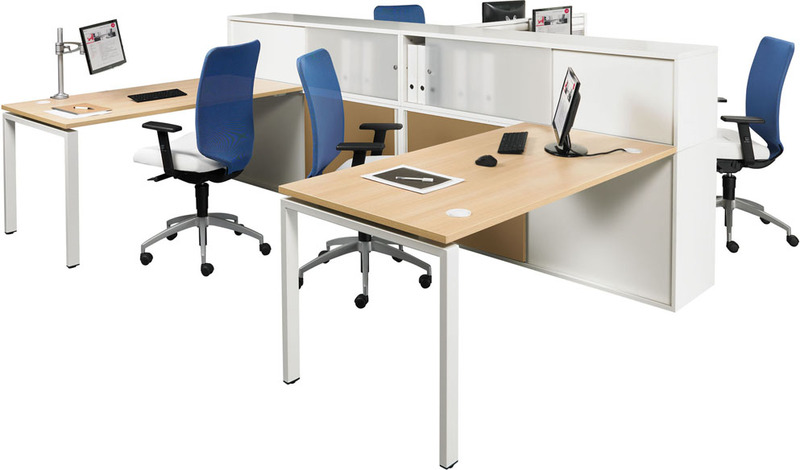 From individual offices to bench clusters, this range is ideal for teamwork configurations. 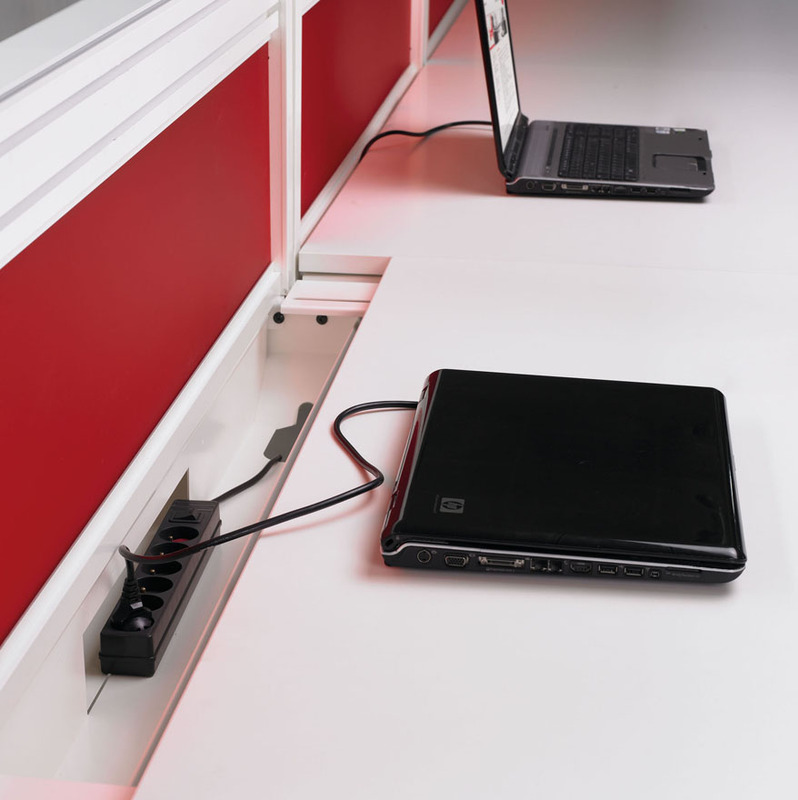 It has all the little extras to simplify work, whilst preserving the personal well-being thanks to the desktop screens. 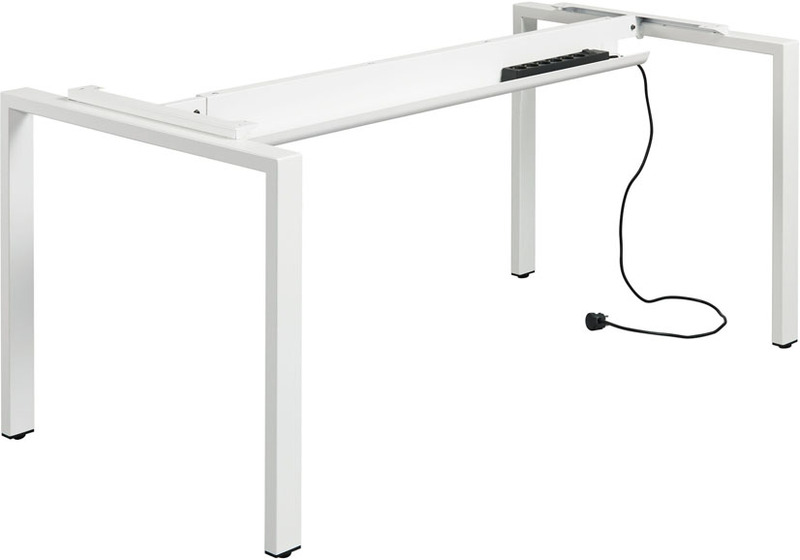 High-density fibre board top, 25 mm thick, with a decorative sheet of melamine on both sides of the top. 2 mm thick ABS edging, matching the worktops. Worktops feature a cable port, composed of an outer ring (ø 8cm) incorporated in the worktop and ‘EOL’ design snap-in cap (ø 6 cm).